Kerascoët and Kercanic are 2 surprising hamlets which attract the visitors in summer in the Breton sunshine. Thatched roofs, blue shutters, hortensias. 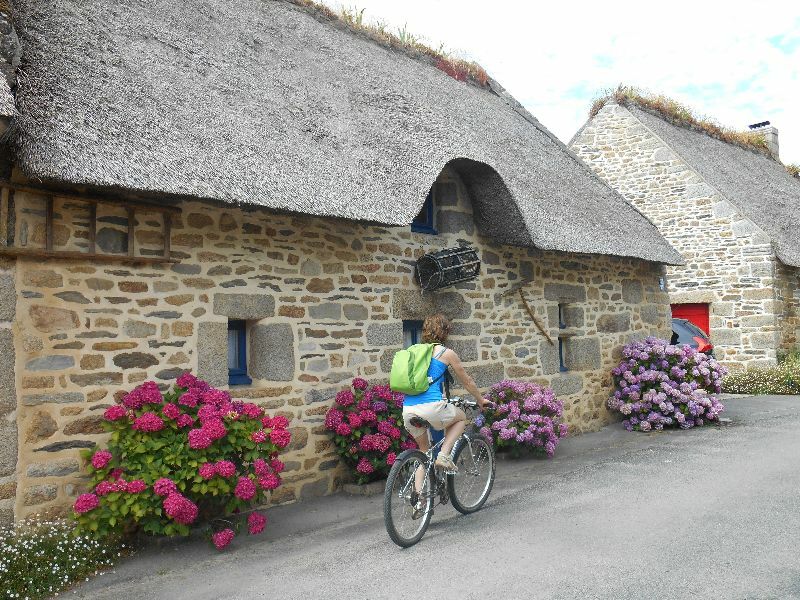 Very nearby the campsite of Névez, and the rentings, the hamlets of Kerascoët- at the exit of the campsite- and Kercanic-3kms away from the campsite-are surrounded by a luxious nature full of life which is pleasant to discover through the cycle ways and the pedestrian paths. It is a real invitation to the walk circuits.